Weather Report was first installation developed for the Brick-Table, in the spring of 2008, and sonified weather data. 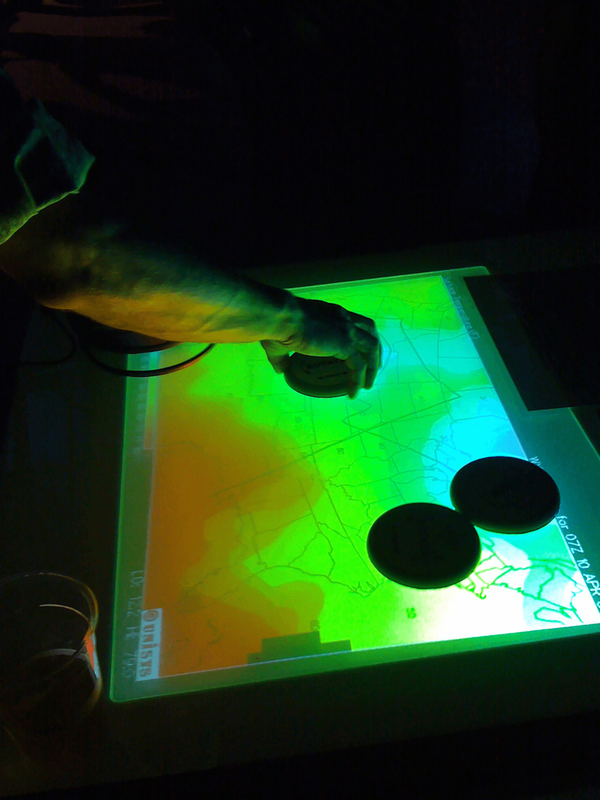 The installation uses the multi-touch Brick Table interface to present a heat map, displaying the current surface temperature of the United States. The user has three objects that can be used to both generate a travel path across the map, and to manipulate the sound created by these paths. While the travel path will define the musical loop, the real-time surface temperature will define the audio processing. In this way, the final musical output is a synthesis of both the path the user takes and the current surface temperature. Additionally, the user is able to further modulate the composition by rotating the physical objects.